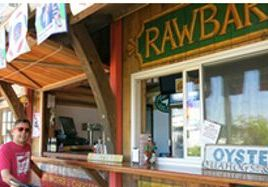 A variety of casual dining options with one of the best boat-filled views on the Island. 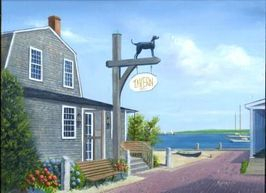 The Black Dog Café makes sandwiches – lobster rolls, turkey club, a classic BLT, tuna - all made with delicious Black Dog bread. For those who prefer lighter fare check out the variety of salad options. Heading on the ferry or to the beach? Grab a few sandwiches and add a couple of their world-renowned Black Dog cookies or pastries to your order; you now have the perfect lunch to go! 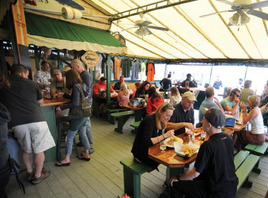 Coop de Ville offers casual outdoor seating and well-prepared New England seafood. Bring the family for steamers, boiled lobsters, fried clams and eight flavors of Buffalo chicken wings. Also featuring one of the best selection of craft beers. Overlooking the Harbor, the Shuck Shack offers casual walk up service featuring some of the Vineyard's most succulent oysters, clams, little necks and more. Fresh off the boat, with a rotating menu this is what Vineyard Summer's are all about. 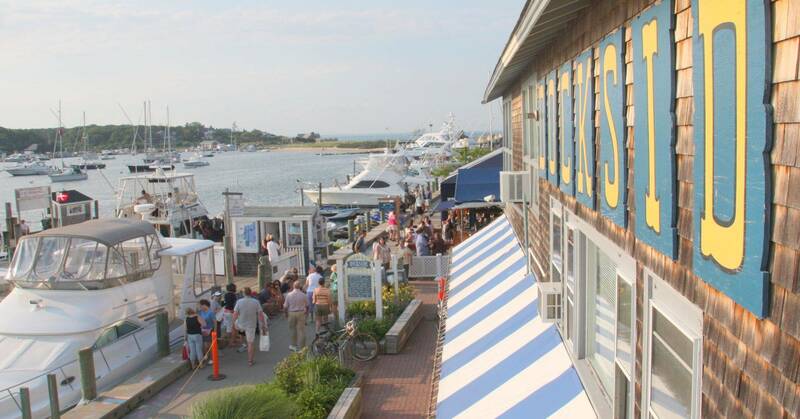 Enjoy casual dining overlooking beautiful Oak Bluffs Harbor. Whether you are looking for a sunset dinner, a sun-splashed lunch or a relaxing cocktail...Fishbones is the place to be. Sitting right on the harbor you can watch the ferries come and go, view the yachts and sailboats that frequent the harbor, or just people watch...all while enjoying great food. Under new management in 2014 by the same folks who brought you renown "The Lookout" bar and grill. 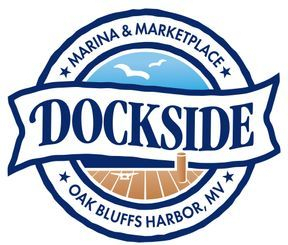 Grab an ice cream for your stroll to the boat or around the harbor. 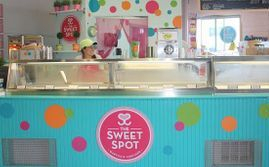 Featuring ice cream, sorbets and yogurts in over 30 flavors. Also a wide variety of bagged and bulk candy makes a great gift or sweet treat - just like you remember when you were a kid. Summer is sweet!